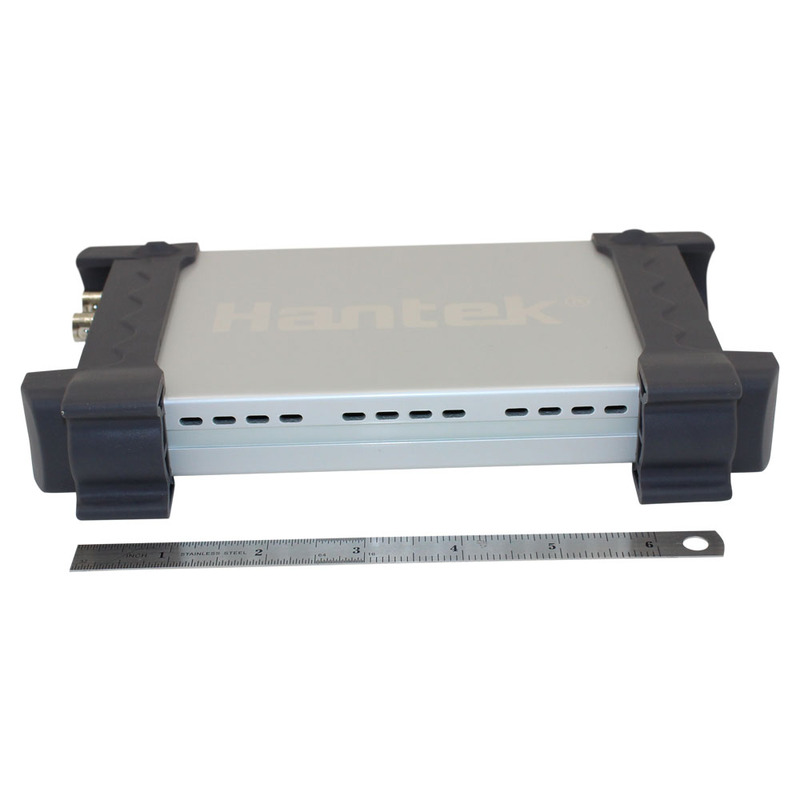 The Hantek 1025G Arbitrary Waveform Generator has one channel of arbitrary waveform output, 12 Bits outputs, synchronized signal output, 1 channel of Counter/Frequency Measurement input, 6 Bits inputs and external trigger input. The user can edit the waveform arbitrarily by the mouse or choose the regular waveforms such as Sine, Square, Tri-angle, Saw-tooth, TTL, White Noise, Gauss Noise, Trapezia, Exponent, AM and FM. The parameters, such as amplitude, frequency and offset, are also settable. 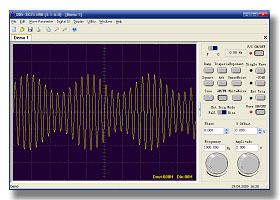 The data format of 1025G is completely compatible with that of Tektronix; it can directly read the waveform data files produced by the Tektronix oscilloscope or Tektronix waveform editor software and redisplay the waveform. 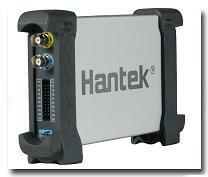 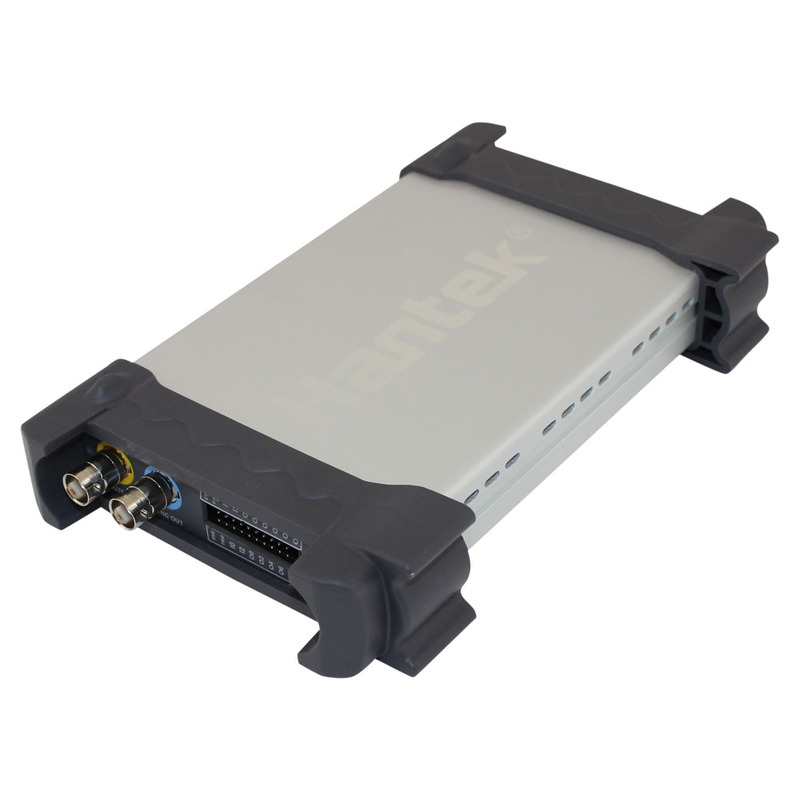 The Hantek 1025G incorporates DDS technology so that it has the advantages of high frequency accuracy, high waveform resolution, high reliability, and wide software support. 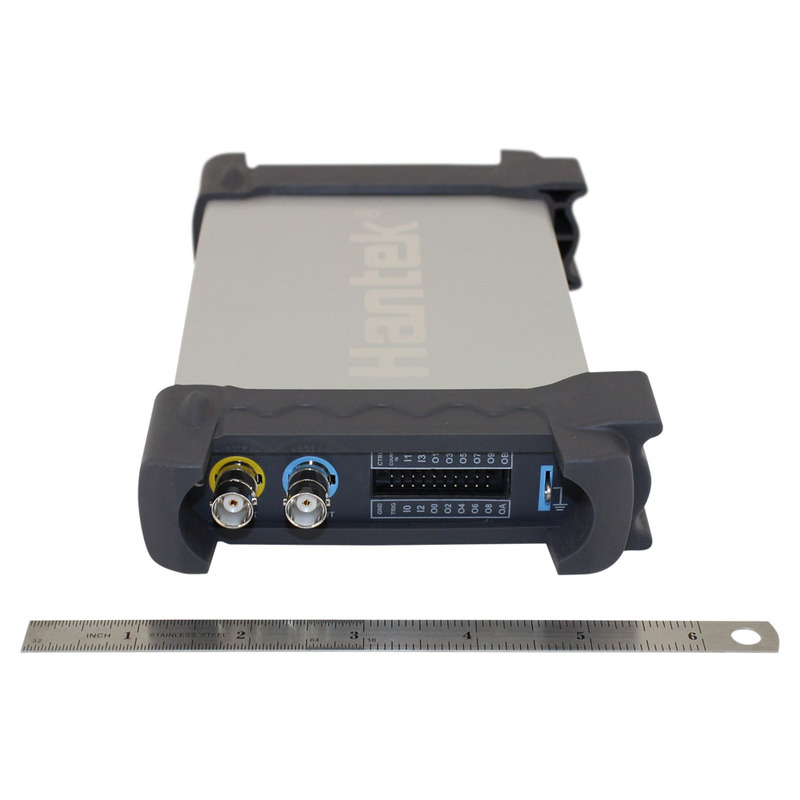 It can be widely used in various kinds of electronics labs and it offers a complete interface for systems development being seamlessly inserted into other auto-measuring systems. 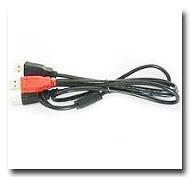 Plug & Play USB interface, no external power source required. Has similar operation interface to benchtop waveform generators. 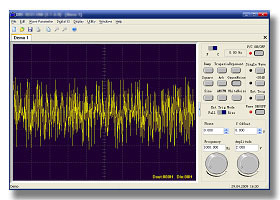 200MSa/s sample rate, 12 bits of vertical resolution; 25MHz arbitrary waveform output. 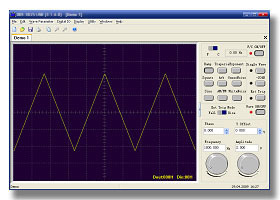 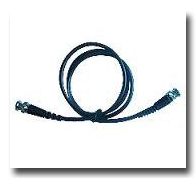 (Sine wave up to 75 MHz). 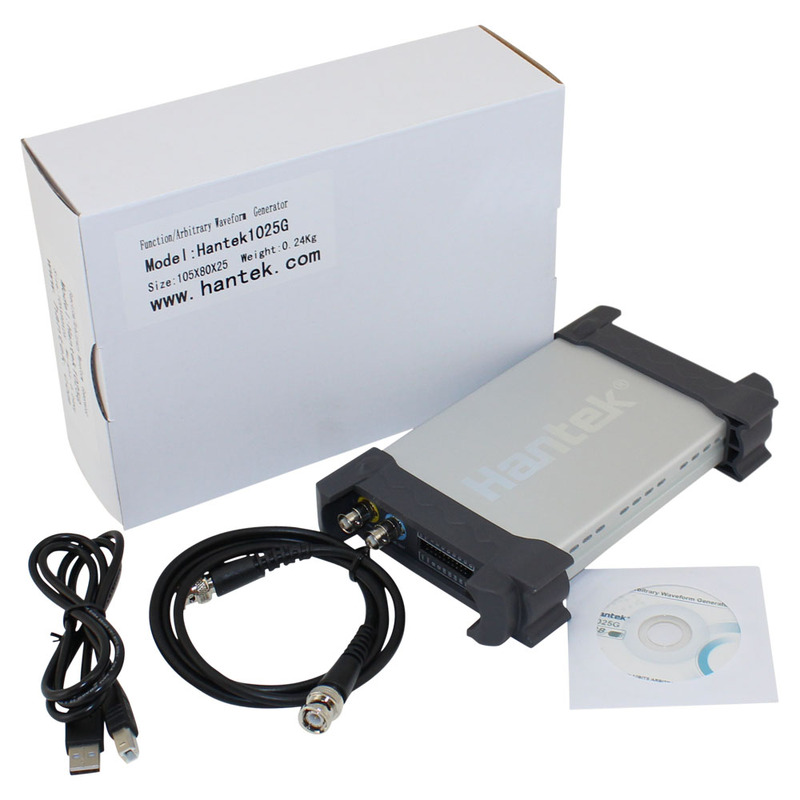 One computer can be linked with several Hantek 1025G's to expand to Multi-channel. 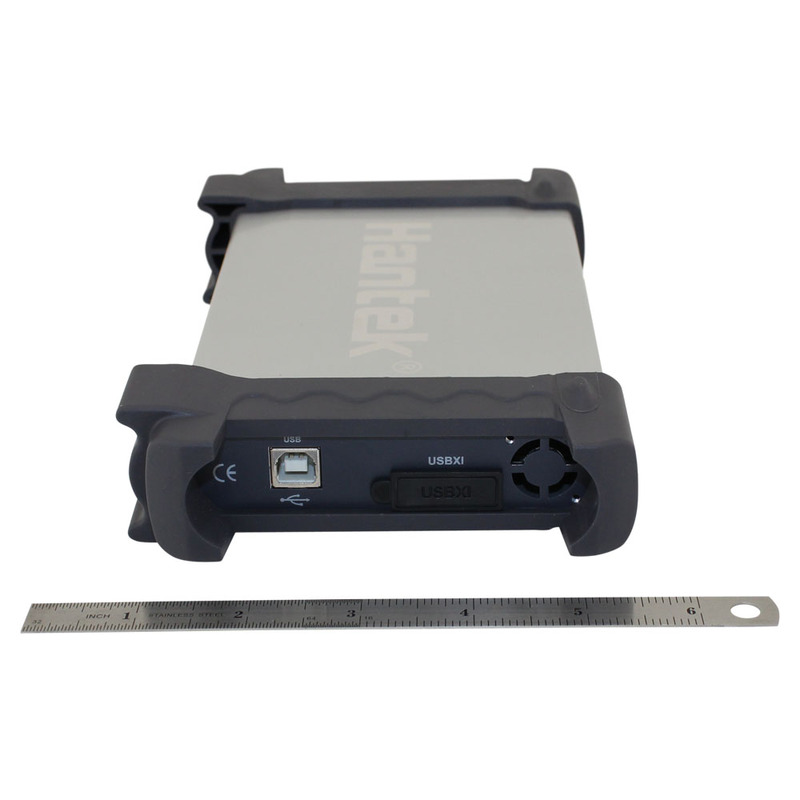 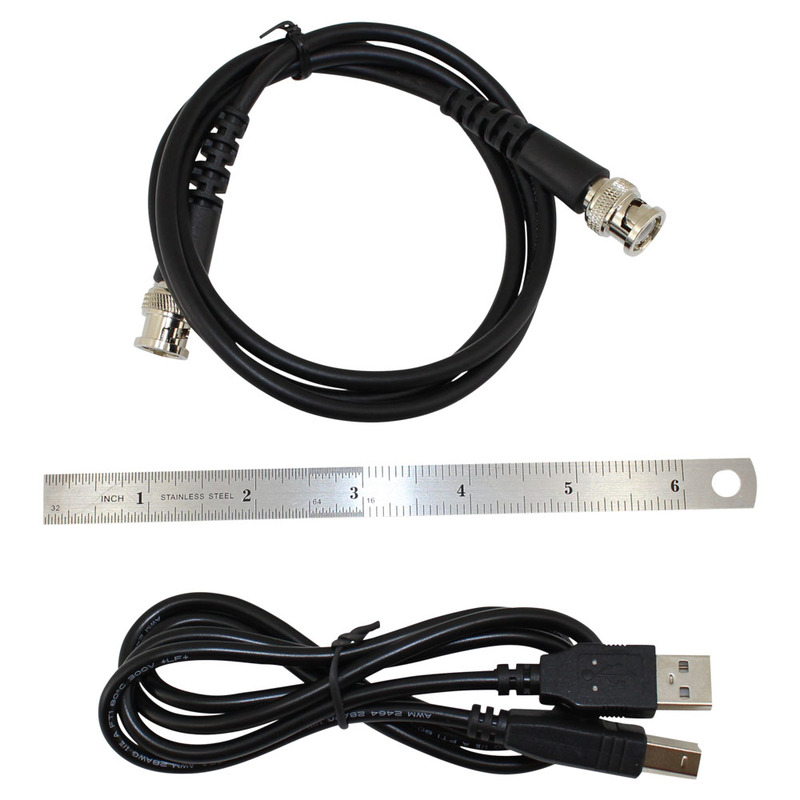 Standard USBXITM interface, easily inserts into USBXITM housing to make up a combination instrument. 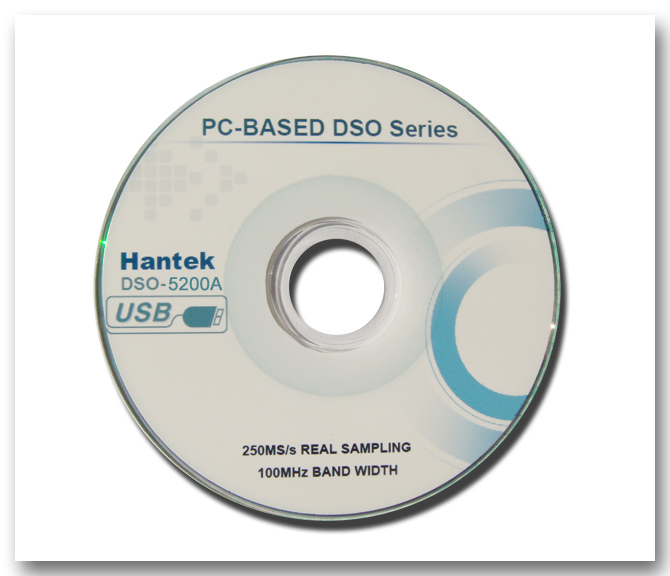 Support System: Windows 7, Windows XP, Windows NT, Windows 2000.